Bills before the Nebraska and Kansas legislatures to allow electricity customers to choose their power provider are being viewed with caution, and a little skepticism, by clean-energy promoters in the two states. A Houston-based energy developer with Nebraska ties, Gary Aksamit, appears to be the driving force behind the legislation. Aksamit argues that a freer energy marketplace could mean more access to renewable sources. However, such a fundamental remaking of the electricity marketplace has people concerned about possible unintended consequences. Continue reading. This entry was posted in Nebraska / Midwest News, NewsBlog and tagged Andy Balaskovitz, Frank Jossi, Karen Uhlenhuth, Midwest Energy News, Nebraskans for Solar on February 28, 2017 by Helen Deffenbacher. 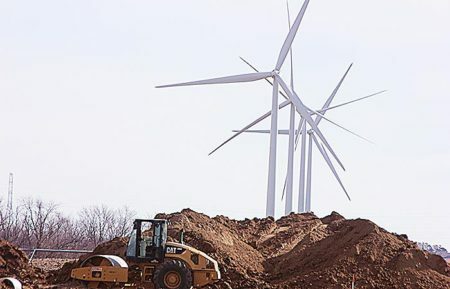 Work started in mid-February and turbine delivery is tentatively scheduled for end of May. The farm will go operational in July. The expansion will consist of three 2.3Mw (megawatt) machines. Bluestem also is currently working on developments across Nebraska and the Midwest. Photo: Norfolk Daily News / Patrick Murphy. With the wind turbines from Creston Ridge Wind Farm Phase I in the background, construction is underway on Phase II. Developer: Omaha-based Bluestem Energy Solutions. This entry was posted in Nebraska / Midwest News, NewsBlog and tagged 1011 News, Globe Gazette, Mankato Free Press, Midwest renewable energy news, Norfolk Daily News on February 27, 2017 by Helen Deffenbacher. March 8, 2017 – 1 to 2 p.m.
New to the energy storage or curious about the industry? Join this complimentary webinar hosted by the Energy Storage Association that outlines what energy storage means, what it does, its benefits and its applications. Plus, get insight into the mission of the Association itself. Participants will also hear different perspectives about the industry from developer and utility points-of-view, as well as the types of jobs in the energy storage sector. This webinar is supported by the National Society of Black Engineers. This entry was posted in Energy Storage, NewsBlog and tagged Energy Sage, Energy Storage Association, free webinars on energy storage, Nebraskans for Solar, Solar Power World on February 27, 2017 by Helen Deffenbacher. 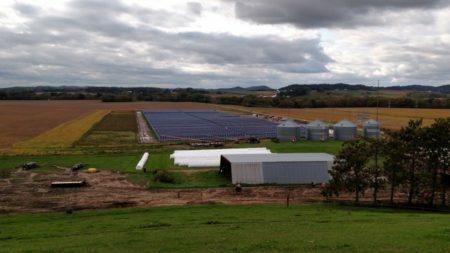 Xcel Energy has commissioned seven new community solar gardens, totaling 32MW in Minnesota. 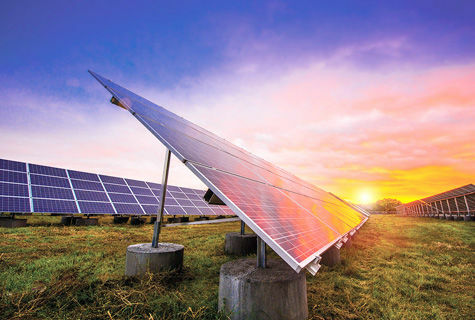 The projects were developed under the utility’s Solar Rewards Community programme that aims to spur community solar among residential subscribers and local businesses. Xcel Energy currently has 57MW of community solar gardens online at 17 project sites as part of its programme, which was launched in 2014. The projects are also part of a larger 96MW of community solar to be developed by BHE Renewables and Geronimo Energy that will provide clean energy throughout the Twin Cities metro area and greater Minnesota. Continue reading. This entry was posted in NewsBlog and tagged community solar, energy storage, farming with the power of solar energy, Nebraskans for Solar, renewable energy development in the U.S., solar-powered streetlights, sustainable energy leaders on February 24, 2017 by Helen Deffenbacher. Telesis, parent company of Lazlo’s restaurants and Empyrean Brewing Co., among other ventures, is acting now [on climate change]. 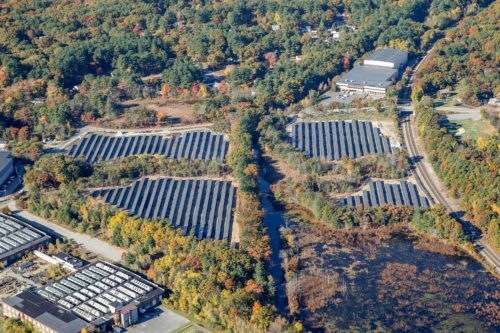 The privately-owned family business is taking steps to make its Dairy House complex, the former Meadow Gold plant at Seventh and M streets, have a net energy footprint of zero by installing geothermal heating and cooling, efficient lighting and 940 solar panels. And the entire building can be managed from a smartphone. Read more here. 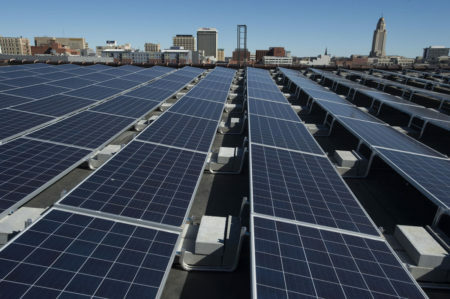 Photo by Gwyneth Roberts, Lincoln Journal Star: Solar panels fill the roof of a former Meadow Gold building at Seventh and M streets. Once the installation is complete, Telesis will produce 85 percent of the energy it uses at the building. This entry was posted in Installation, Nebraska / Midwest News, NewsBlog and tagged Lincoln Journal Star, Nebraskans for Solar, net-zero energy businesses in Nebraska, reducing climate change with renewable energy development, solar energy development in Lincoln, Telesis on February 24, 2017 by Helen Deffenbacher. According to market research firm IHS, the energy storage market is set to “explode” to an annual installation size of 6 gigawatts (GW) in 2017 and over 40 GW by 2022 — from an initial base of only 0.34 GW installed in 2012 and 2013. The U.S. energy storage industry comprises hundreds of companies and thousands of American workers building commercial energy storage systems throughout the country. Flywheel and battery energy storage systems are operating today in the competitive ancillary services power market – providing a 10x faster and more accurate response to a power dispatcher’s signals compared to power turbine generators. An IMS Research report expects the market for storing power from solar panels – which was less than $200 million in 2012 – will catapult to $19 billion in 2017. This entry was posted in Energy Storage, NewsBlog and tagged energy storage, Energy Storage Association, energy storage's falling costs, Nebraskans for Solar, storing power from solar panels on February 23, 2017 by Helen Deffenbacher. For years, skeptics have scoffed about the future of wind energy, presuming to silence enthusiasts with the line, “Well, what do you do when the wind doesn’t blow?” As it turns out, there is a modern answer for that question. It’s called a power pool. 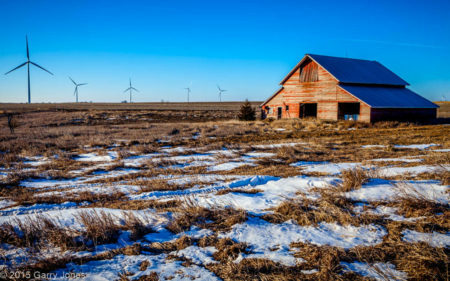 This month, the Southwest Power Pool became the first regional transmission organization in North America to supply more than 50 percent of its demand from wind turbines, hitting 52.1 percent of its load at 4:30 a.m. on Feb. 12. Continue reading. This entry was posted in Nebraska / Midwest News, NewsBlog and tagged Lincoln Journal Star's Editorial Board, Southwest Power Pool, U.S. wind energy development on February 23, 2017 by Helen Deffenbacher.